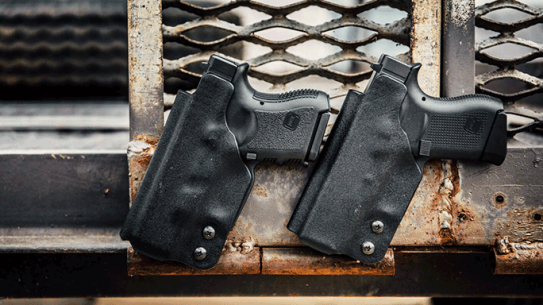 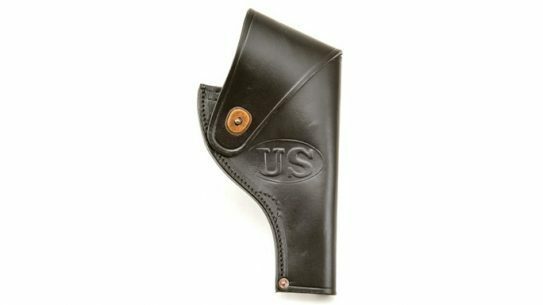 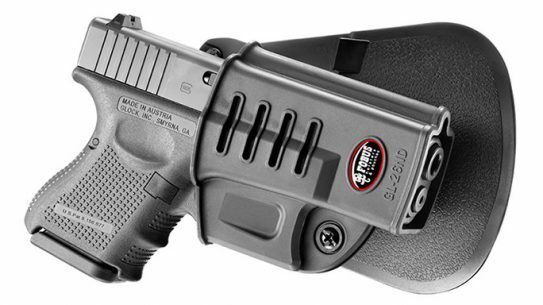 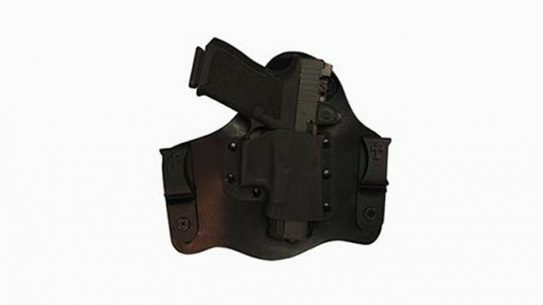 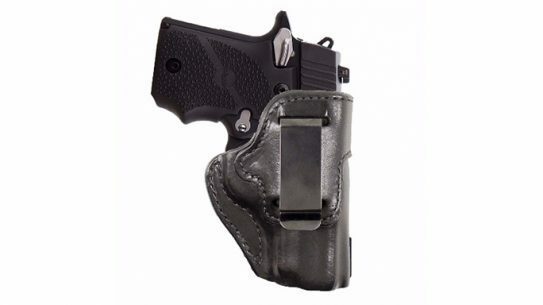 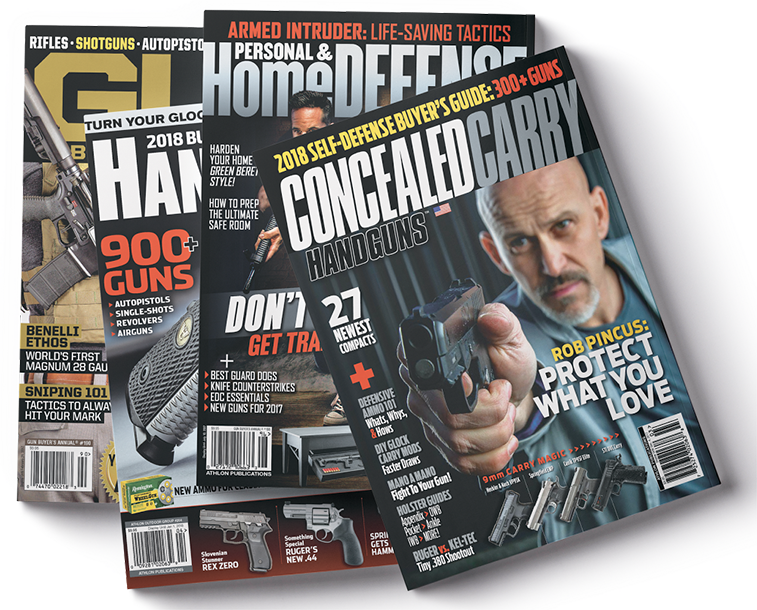 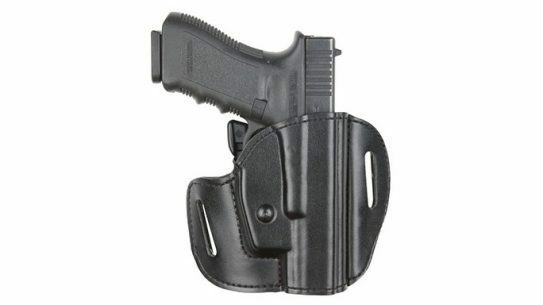 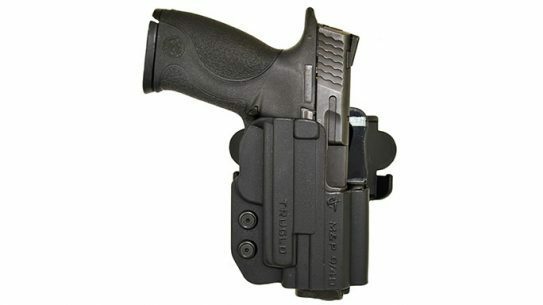 The GL-26 holster from Fobus features passive retention with an adjustment screw for customized retention based upon the user’s personal preference. 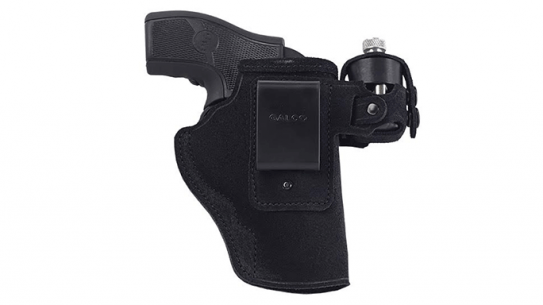 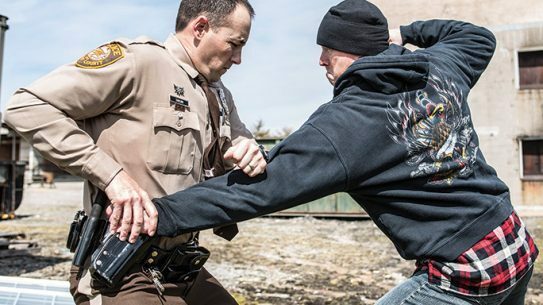 The SSV Pistol Holster features modular security retention that can be changed to accommodate the user's preferred method of carry. 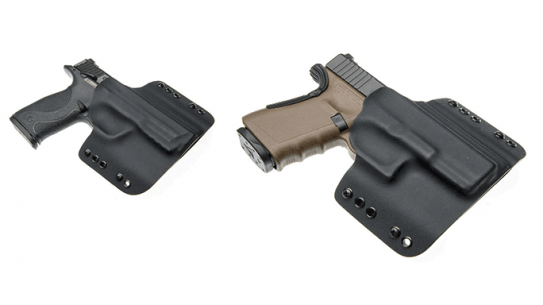 DeSantis Gunhide's all new Inside Heat IWB holster for the Sig Sauer P938 features a reinforced top to ease re-holstering. 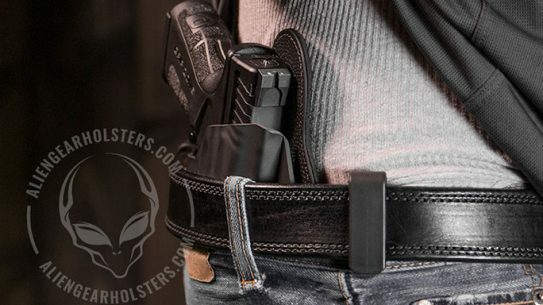 Alien Gear has improved its Tuck 3.0 IWB Holster by reducing the amount of exposed hardware while increasing the amount of neoprene. 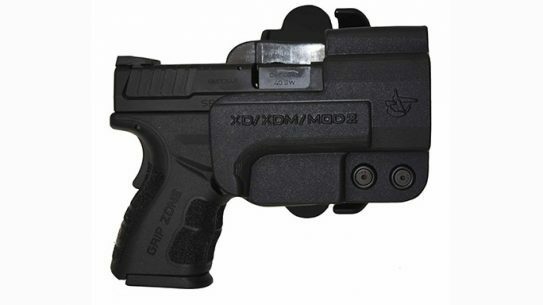 Comp-Tac Victory Gear has added eight holsters to its lineup to fit the TruGlo Micro Tac Tactical Micro Laser and the Tru Point Laser/Light Combo. 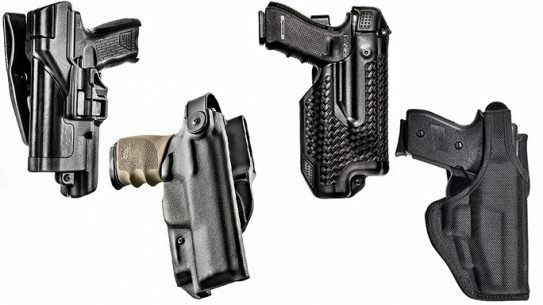 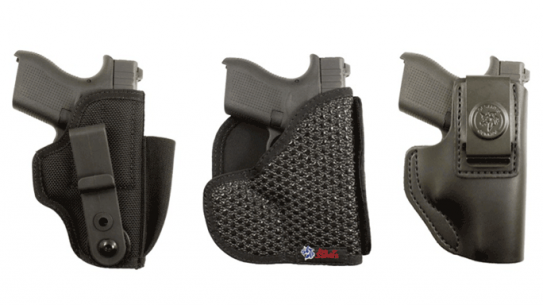 Comp-Tac Victory has added nine new holster fits and holster spare bodies to its lineup for Springfield Armory's Mod 2 firearms. 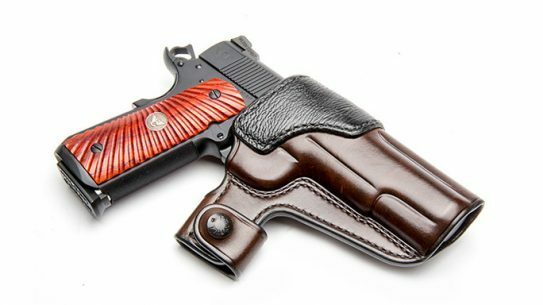 The all new Deluxe Quick Snap leather holster from Wilson Combat is the brainchild of 5-Shot Leather craftsman John Ralston. 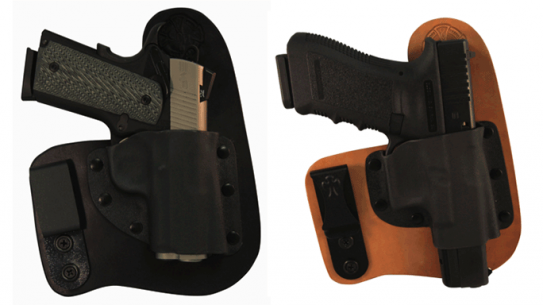 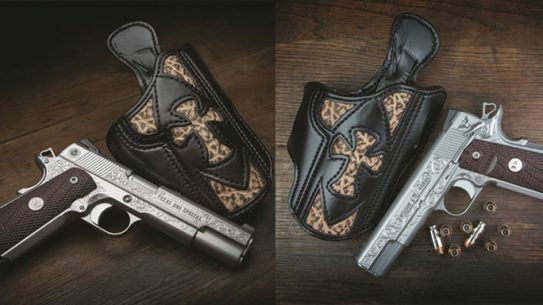 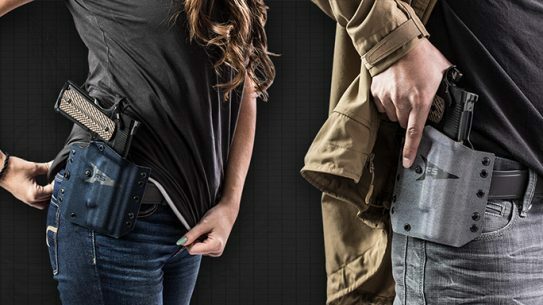 CrossBreed Holsters continues its innovation with new fits that cater to firearms that are equipped with Micro Red Dot sights.